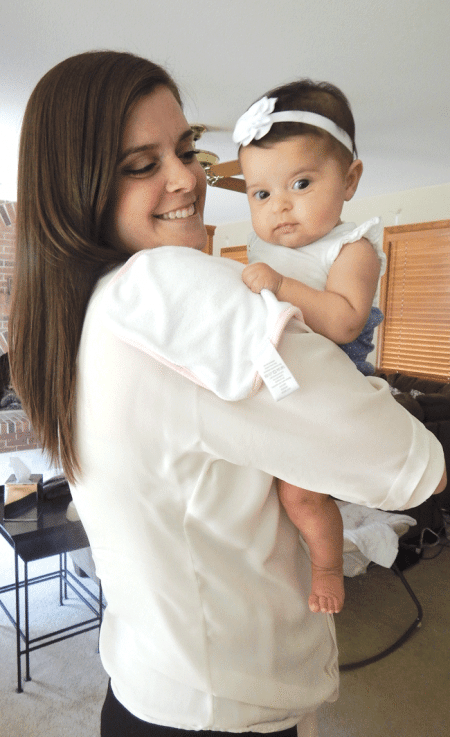 Liz Rappaport says the camaraderie and support she has received from other mothers in the PWC will make leaving her baby daughter Ellie easier when she returns to work. Jenny MacKay has not forgotten the first Women’s Professional Chamber (WPC) meeting she attended three years ago in Springfield. It was a luncheon with a moderator and panel of speakers that included top female executives from Smith & Wesson, Columbia Gas, and Health New England. 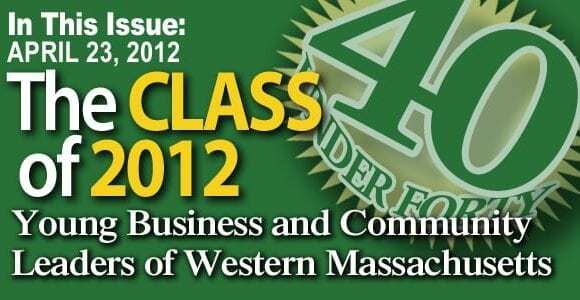 An employee-benefits consultant for the Gaudreau Group in Wilbraham, and also a 2016 BusinessWest 40 Under Forty honoree, MacKay had attended events sponsored by many other local chambers, but this one was decidedly different. Liz Rappaport has also found the personal support she needed in the PWC. 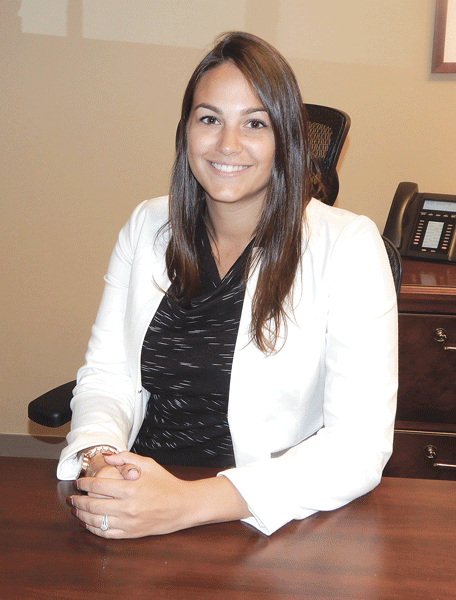 The manager of Century Investment Co. in West Springfield and a 2014 BusinessWest 40 Under Forty honoree, she joined the group three years ago and said it has taught her invaluable lessons. “Other women have told me you can never be perfect in your family life or on the job, but if you do your best; you can balance things out,” she noted, adding that she gave birth three months ago to a daughter named Ellie, and the advice she received helped her understand the challenges that will confront her when she returns to work this month. The PWC is a division of the Springfield Regional Chamber of Commerce, but is its own entity. Its 300 members are at different stages of life and career, and their jobs encompass a variety of professions in diverse fields. But they share a common theme: trying to balance their work with their personal life and obligations, a task most women struggle with on a daily basis. Membership makes it easy for them to find other female professionals who can share stories and helpful hints about how to maintain a balance as they strive to fulfill their own expectations about being the best business professional, best mother, best wife, and best daughter, while playing an active role in their community and doing volunteer work. It is this quality that sets it apart from other chambers. Women tend to network very differently when they are alone with their peers than they do in a mixed-gender group, and personal stories and situations are shared as readily as business cards. Although membership in the PWC can help them succeed in business through connections that are made, the ones they form usually result from bonding through intimate discussions. For this issue and its focus on women in business, we take an inside look at the PWC and the ways in which women benefit from belonging to a group where dealing with personal and professional issues that intertwine is something they all relate to. The PWC was formed in 1953, and although its name changed from the Women’s Division of the Springfield Regional Chamber to the Women’s Partnership before it was given its current moniker in 2010, the group has always provided services to the community, local businesses, and its members. Although Jenny MacKay belongs to many local chamber groups, the Professional Women’s Chamber is the place where she gets the most support. Education has always been paramount, and scholarships have been granted annually to non-traditional women students since 1965. The recipients are often returning to the workforce after years of being at home, and three individuals have each been selected to receive at least $1,000 in recent years. The calendar runs from September to June, and since the chamber’s officers and members of its board of directors know how difficult it can be for a woman to juggle multiple roles, two meetings feature speakers who share first-hand accounts of the personal struggles and roadblocks they hit along the road to success. There are also evening events, which are usually held at local retail establishments that allow members to shop while they network in a relaxed setting. The year begins with a kickoff luncheon in September, which features a compelling speaker, followed by an After Hours Ladies Night in October and a PWC-produced luncheon event at the Western Mass. Business Expo (slated for Nov. 3 this year). A second Ladies Night is held in December. The new year is heralded with a Tabletop Luncheon; there is a third Ladies Night in February, and the second headline speaker luncheon is held in March. A fourth Ladies Night is scheduled in April, and the year culminates in late May with an event held to honor the Woman of the Year. “The Ladies Nights are held at local shops; we’ve gone to Cooper’s Gifts in Agawam, Kate Gray in Longmeadow, and Added Attractions in East Longmeadow,” said MacKay, naming a few noteworthy outings and adding that the shops provide wine and hors d’oeurves. But while networking does occur during the Ladies Nights, business introductions and connections that are formed are secondary to the personal relationships that evolve when women are in an atmosphere they find fun and enjoyable. “What someone does for business is not as important as the fact that you have made a new friend; we talk to each other and find commonalities,” Rappaport explained. MacKay concurred. “Our Ladies Nights don’t involve the commitment of a sit-down dinner for two hours every month. We don’t want to add more commitments to a woman’s to-do list because we understand how busy women’s lives are,” she said. The PWC also has a six-session mentorship program called Reaching Goals, aimed at giving students from Springfield Technical Community College the professional and personal skills they need to succeed in their chosen careers. Rappaport is a mentor and has worked with women ranging in age from 18 to 38. She has spent time with some outside of the meetings and says that, in some cases, the program has resulted in a student landing a job due to the connections she makes. The majority of the group’s members are over the age of 40, so Rappaport and MacKay plan to reach out this year to Millennials who may not know about the PWC and what it has to offer, while continuing to provide programs that interest women of different ages at different stages of their careers. MacKay says this initiative is important because Millennials are trying to establish themselves in their chosen careers, and many are experiencing conflicting emotions as they struggle to create a healthy work/life balance. “They’re working hard, planning important events such as weddings, and also trying to figure out if they can handle having a child without fearing that something will suffer,” she said, adding that the benefits of membership are priceless and the relationships women form with each other are much more intimate than those that result from other chamber groups. MacKay works in a male-dominated occupation, and has gotten valuable advice from PWC members about how to deal with a variety of situations as well as strategies for communicating with male co-workers, since they relate to each other very differently than women. In addition, the group teaches women that failure isn’t an end and can lead to a new beginning, which became apparent during a luncheon where Tracey Noonan was the keynote speaker. The founder of Wicked Good Cupcakes, who successfully won her bid for a partnership on the popular TV series Shark Tank, shared her story of how her business evolved after she started baking cupcakes in Mason jars with her daughter Dani in their South Shore kitchen in 2011. “She was a single mom who took a baking class in order to bond with her daughter,” MacKay said, recounting how Noonan shared the hardships of being a single mom, what is was like to start a business — who she got help from and who refused to help her — and how success has affected her life. The story resonated with women on a variety of levels, as did the personal tale told by Lisa Ekus of the Lisa Ekus Group LLC. The Hatfield entrepreneur, who represents cookbook authors and food products, spoke to the PWC in March about the struggles of balancing her personal and family life. Other speakers have addressed issues of equal pay and the lack of qualified candidates to fill jobs in precision manufacturing, and what women can do to help fill the gap, and Rappaport says she has learned many valuable lessons, including the fact that each woman is her own best advocate. But feeling and projecting confidence is not easily accomplished, because many women are self-deprecating, and even getting a compliment on one’s clothing can lead to an embarrassed answer and insistence that it was purchased on sale. “Women don’t want to be thought of as pushy or too assertive,” Rappaport noted, adding that, although she has never heard of a man with those traits being referred to in a condescending manner, it’s not uncommon for women to suffer from such labels. MacKay agreed, and said if she doesn’t smile all the time, people tell her to do so and add, “everything will be all right,” which she finds very frustrating. Rappaport is looking forward to returning to assuming a professional role in the family business when she returns to work following her maternity leave. She knows it won’t be easy and she will worry about her baby daily, but she finds strength in numbers and the knowledge that her peers have learned to effectively juggle responsibilities in different arenas of their life without feeling they have to be perfect in every role. But women agree that the unrealistic belief is pervasive in society today. Which is where the PWC comes in. It helps women understand there are others who share the same feelings and concerns who can provide each other with reassurance that doing their best each day is truly good enough.